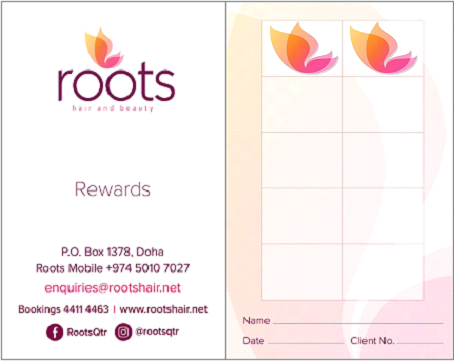 At roots we’re bursting with creative energy and we love the harmonious vibe that is at the heart of every experience when you visit our salon. We are immensely proud of our team of experts who are highly skilled in making you look and feel sensational! Our staff are fully qualified and professionally-trained in the latest techniques using the best products that produce unbeatable results. Our services and dedication to our clients are unsurpassed. The Guinot brand has become the benchmark for beauty salons and is renowned in over 70 countries throughout the world, following a specific Guinot treatment protocol. It’s a wonderfully natural way of having a face lift and we have had amazing feedback from our clients who have tried it. CACI stands for Computer Aided Cosmetology Instrument and is a micro current machine that uses specific waveforms and ultra-low frequencies to transmit tiny electrical signals to boost muscle tone and skin tissue. In short, it works in harmony with the body’s own bio-electrical field to help improve skin tone, texture and face shape. CACI facials deliver dramatic results without the need for surgical intervention. Truly the ultimate anti-ageing treatment system, which is becoming very popular. Is a non-chemical, non-invasive procedure that uses a spray of microcrystals to remove the outermost layer of dry, dead skin cells and reveal younger, healthier-looking skin. Microdermabrasion also encourages the production of a new underlying layer of skin cells with higher levels of collagen and elastin, which further improves your skin’s appearance. The massage techniques are adapted to suit your needs, whether it be to relax tired muscles and alleviate tension or to relieve mental fatigue. The full body massage includes the back, legs, stomach, arms and décolleté. Reflexology is the application of appropriate pressure to specific points and areas on the feet & hands. Reflex points correspond to different body organs and systems, and pressing them has a beneficial effect on the person’s health. The more you go, the healthier you feel. LVL stands for Length, Volume and Lift. This lash treatment uses the latest technology to straighten and lift your natural lashes and set them for a fab wide-eyed look. This relaxing procedure does not use extensions, it is all your own natural lashes and mascara can be worn. It lasts approximately 6 weeks. HD Brows is a unique, seven-step eyebrow shaping treatment that focuses on design. It involves an innovative combination of techniques, including tinting, waxing and threading. The HD Brows stylist will perform the procedure, transforming your eyebrows into the shape you have always dreamed of. Our waxing service is a semi-permanent hair removal system designed to smooth and remove unwanted hair. It is also perfect for removing dead skin and improving its appearance. For an all over, natural looking, beautifully bronzed tan! It is sunless with no harsh chemicals or odours and is streak free.